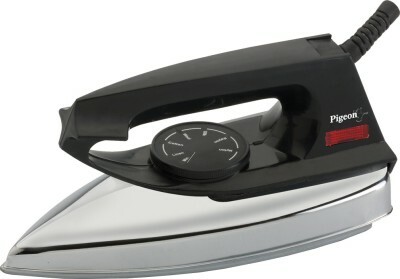 Flipkart is offering an exclusive offer for Pigeon Favourite 750 W Dry Iron Box. Here we can get 53% discount. The actual Price : Rs 645 , Deal Price : Rs 299 (53% Discount) + Rs .40 (Delivery Charge). Limited Period offer. Don't miss it. Hurry up!! !